The Centre for Integrated Research on Culture and Society will make it easier for researchers to create broad research environments with researchers in different subjects. Uppsala University is aiming to develop new research collaborations spanning different research subjects. The newly created Centre for Integrated Research on Culture and Society at the Disciplinary Domain of Humanities and Social Sciences will facilitate the growth of innovative research collaborations. The Uppsala University Board decided on 15 November to establish the Centre for Integrated Research on Culture and Society (CIRCUS) at the Disciplinary Domain of Humanities and Social Sciences. CIRCUS will be an environment for initiating and developing collaboration in multidisciplinary and problem-driven research. Organisationally, CIRCUS is directly under the Humanities and Social Sciences Disciplinary Domain Board. It is a five-year project funded by the Vice-Chancellor’s strategic funds and by the Humanities and Social Sciences Disciplinary Domain Board. During the process of developing the proposal for CIRCUS, Singer has been met with great interest and curiosity among the researchers. CIRCUS will have staff, visiting research fellows and premises with space for seminars. CIRCUS will work with calls for applications, networks, workshops, research contacts and more. 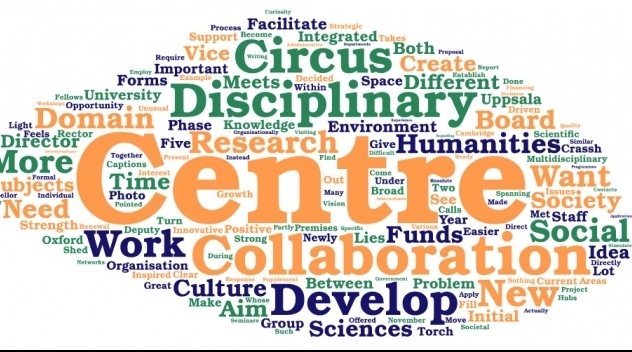 CIRCUS was partly inspired by similar organisations at universities in Cambridge (CRASSH) and Oxford (TORCH), which are both hubs for interdisciplinary research collaborations. Now that the formal decisions regarding CIRCUS have been made, the work is ready to move into a more resolute phase.